Jessica Jones hasn't added a story. Alright you crazy kiddos....Mustaches 4 Kids is coming to an end and I am proud to have grown a substantial 'stache this past month for the kids of the Cape Fear region. Please donate now, as this majestic masterpiece will disappear Tuesday evening!! Please make your tax deductable donations next week to go to such a wonderful fundraiser!! All money goes to local organizations such as Brigade Boys and Girls Club, Make-A-Wish Foundation of Eastern NC, JDRF Wilmington, Hope From Helen, Ocean Cure, Dreams of Wilmington, and not to mention, our very own Monteith Construction's - Camp Schreiber. Please see the link below and check out facebook and instagram for all the wonderful things our Schreiber kids are doing! Thank you very much and God Bless you for your donations that support such a wonderful cause! 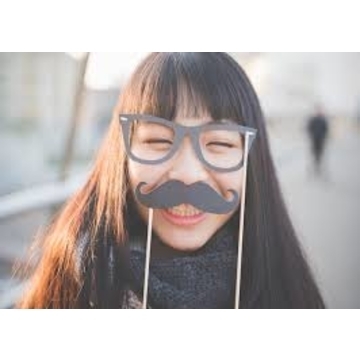 Mustaches for Kids is a national organization founded to benefit children's charities through the growth mustaches. Our chapter was one of the first and in 14 years we've raised over a half million dollars for the local causes we support! It's an easy and fun way to do some good; we meet once a week to turn in funds, take progress photos and hydrate ourselves then celebrate the end on the season with the 'Stache Bash gala event. Join us! Jessica Jones hasn't posted any updates yet. Jessica Jones is managing the funds for this campaign. The campaign is for a personal cause.